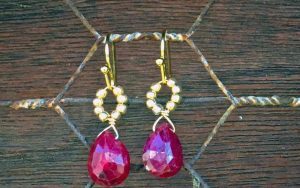 Learn to make your own earrings with this step by step jewelry making tutorial. 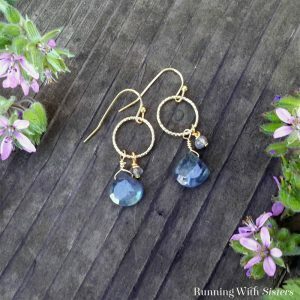 These Swirl & Pearl Earrings have such dramatic style––and they’re a breeze to make! The swirl connectors do most of the work, then all you need to do is add the beads and make a couple of wrapped loops. We’ll show you how! 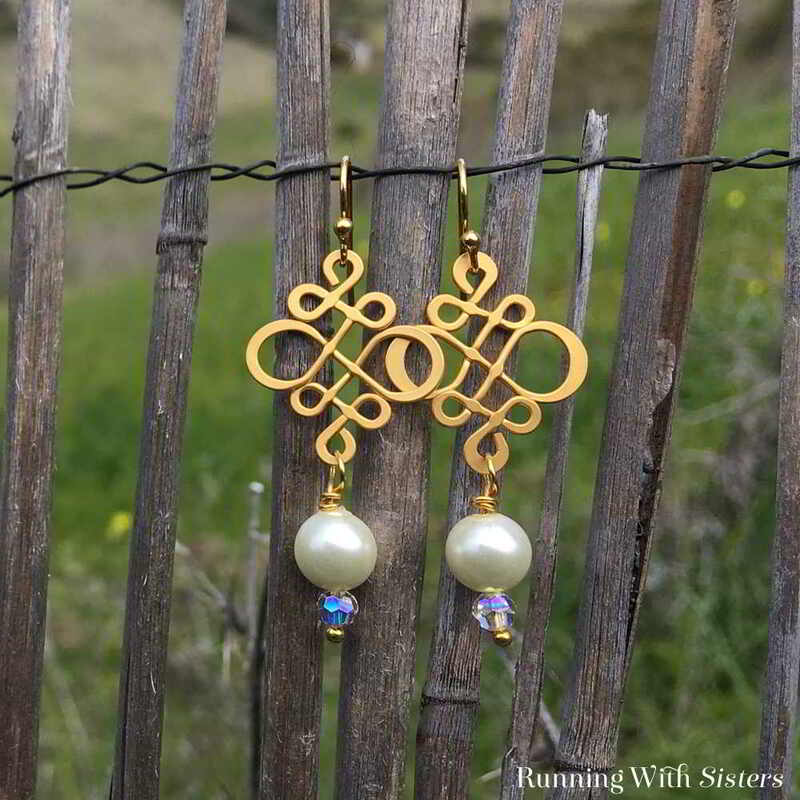 Here’s a video we shot showing how to make these Swirl & Pearl Earrings step by step. 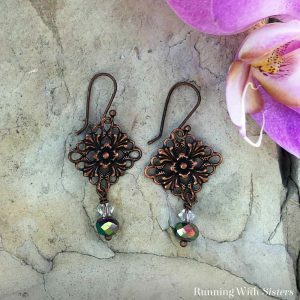 Follow along with us as you make your earrings. Or watch us demo the earrings first then make a pair on your own using the written instructions below! 1. 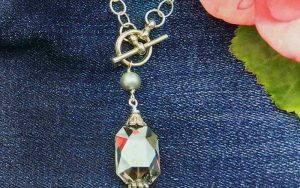 Slide a crystal bead onto a headpin. 2. 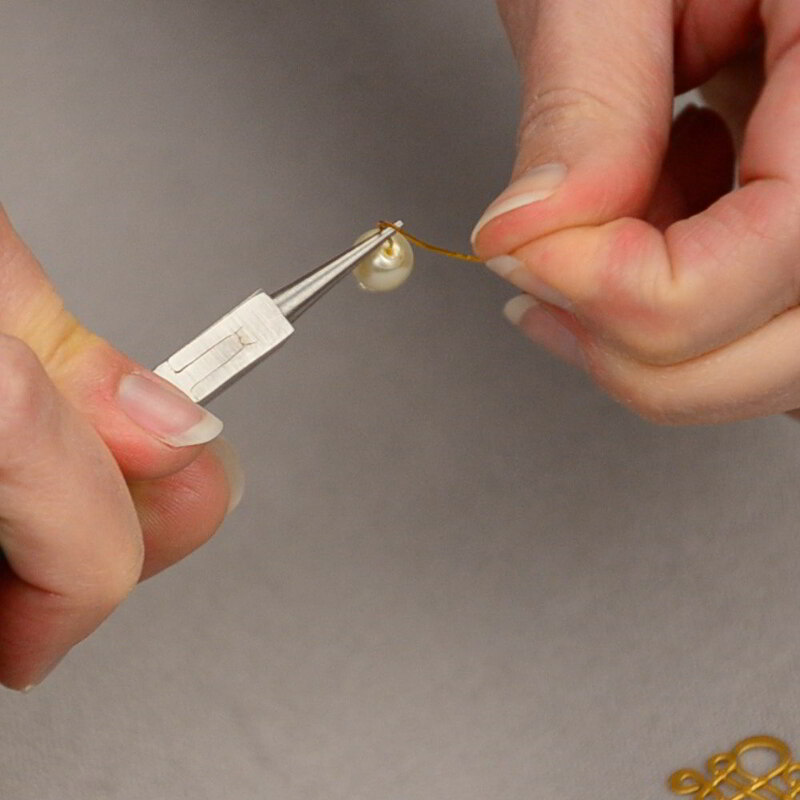 Slide a pearl onto the headpin. 3. Start to make a wrapped loop above the pearl. 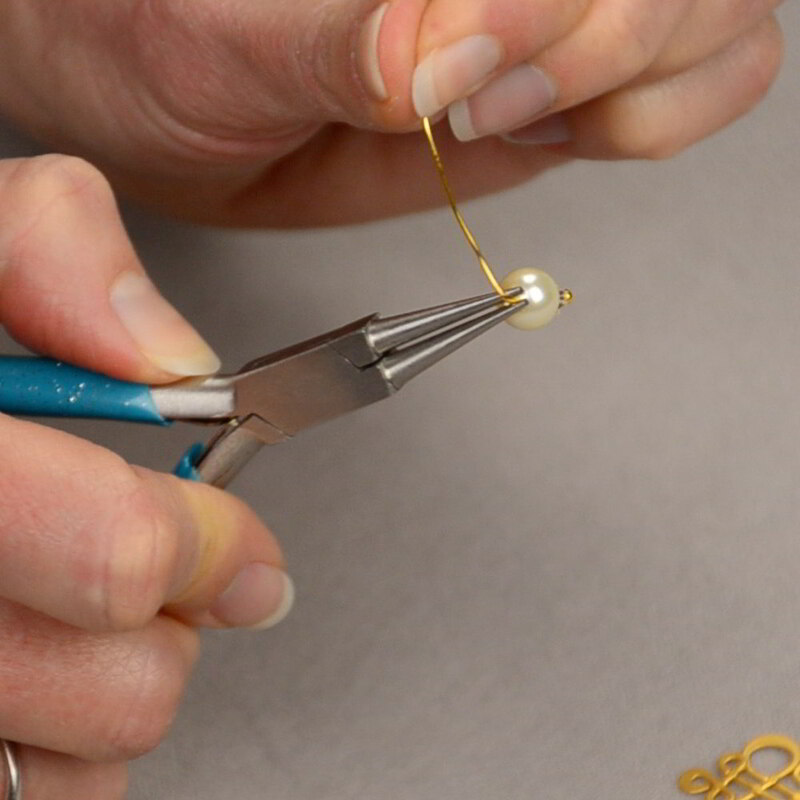 To do this, grasp the headpin wire next to the pearl about a third of the way up the jaws of the round-nose pliers (this will help make the loop large enough to fit the swirl connector). Bend the wire 90 degrees toward you. 4. Reposition the pliers to the top of the 90-degree bend then bend the wire away from you over the top jaw of the pliers. This will make a partial loop. 5. Switch the pliers so the bottom jaw is now in the loop, and pull the wire around to finish the loop. 6. Feed the end of a swirl connector onto the headpin and nestle it into the loop. 7. 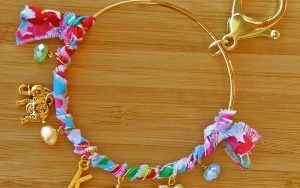 To wrap the loop, grasp across the loop with the round-nose pliers and wrap the tail of the headpin wire around the neck two times. 8. Trim the end of the wire with wire cutters. Press the end of the wire down against the wraps using the chain-nose pliers. 9. Feed on the other end of the swirl connector. Close the loop. 10. 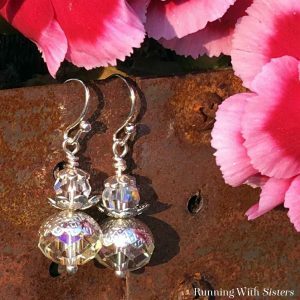 Repeat to make a matching Pearl & Swirl Earring! 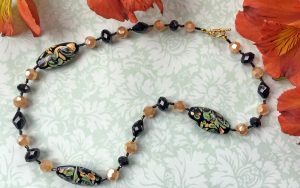 We love featuring ornate connectors in the jewelry we make. They bring so much to the party! 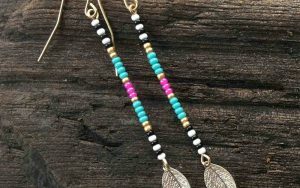 Have you made earrings using connectors like these? Let us know! 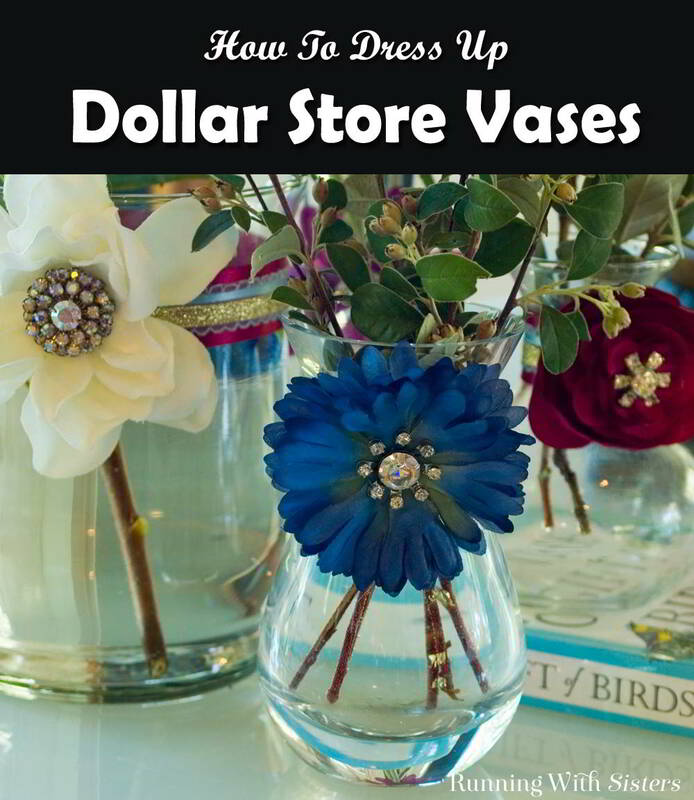 We love it when you save our projects to Pinterest!